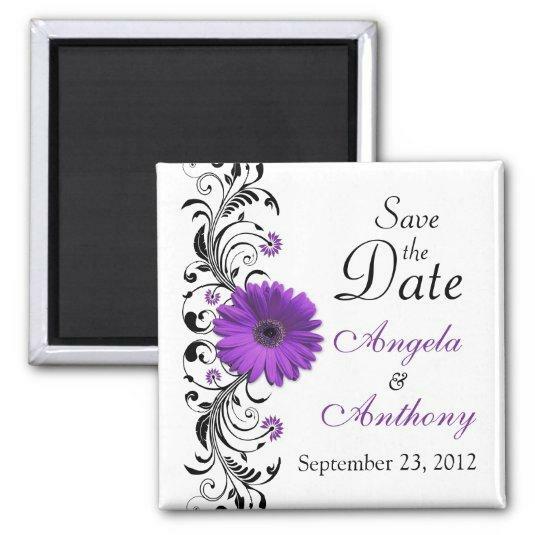 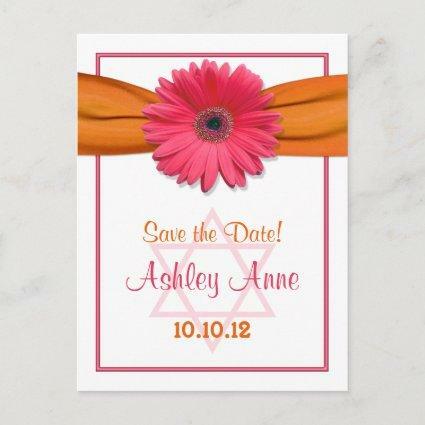 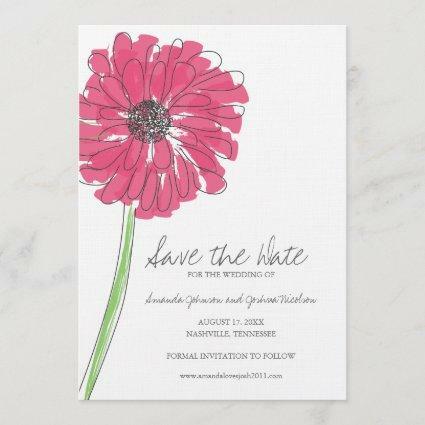 The text on this purple gerbera daisy black and white floral save the date magnet is fully customizable. 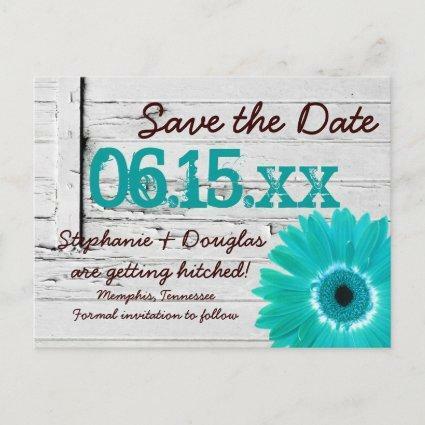 To change it use the personalize option. For more extensive text changes, such as changes to the font, font color, or text layout, use the customize option. 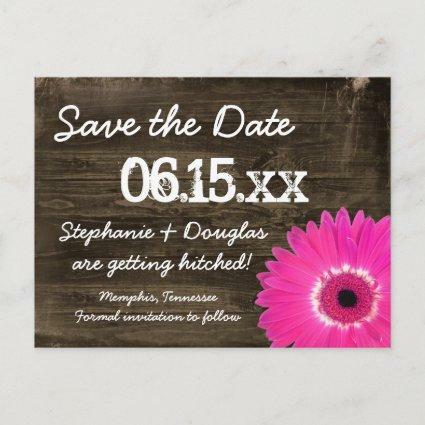 Although this save the date magnet is currently customized for a wedding, it could also be used for other special occasions such as a wedding anniversary, a birthday party invitation, or a retirement party. 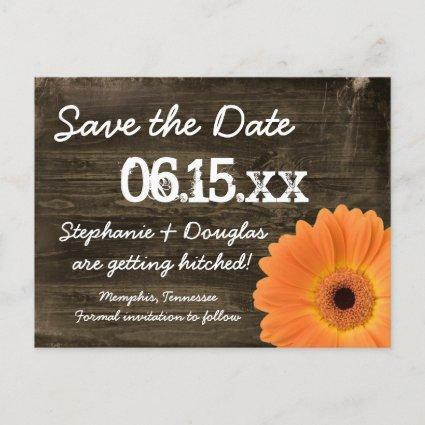 Really it&#;s up to you. 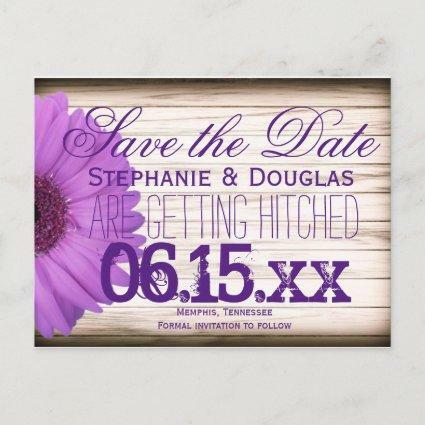 All you need to do is change the text. 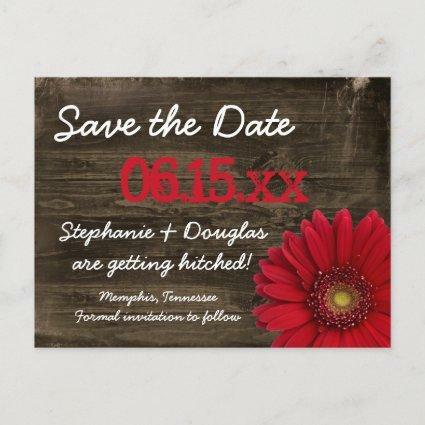 You could also remove the "save the date" text with the customize option and use this as a wedding favor.